Fluval Biomax For U2 / U3 / U4 Internal Filters Item Description ---Genuine Fluval Part ---Provides an optimal environment for the colonization and growth of beneficial bacteria (biological filter media) ---Unique bio rings have a complex pore system ---Reduces and controls ammonia and nitrate Fluval Replacement BIOMAX for U series internal filters. Provides optimum biological balance Other 24 Courier - UKmail next working day* If required a saturday delivery extra charge of £10 Or can be sent Royal mail 1st class signed for extra £0.99 If your postage is in one of these zones there will be a extra charge of £10 Zone C AB 31 to AB 38, AB 40 to AB 56, IV 1 to 28, IV 30 to 32, IV 36 & 40, IV 52 to 54, IV63, KW 1 to 14, PA 21 to PA 38, PH 4 to PH 41, PH 49, PH 50. This unique flow of water results in a crystal clear water. For best results, replace every 4 weeks. Fluval foam pads for the U2 For Fluval U2 underwater filters. It is custom-made to fit perfectly inside the filter chamber to prevent debris bypass. The foam pad has a pore size that allows efficient water flow, less clogging and long-lasting filtration. Fluval foam pads for the U1 For Fluval U1 underwater filters. It is custom-made to fit perfectly inside the filter chamber to prevent debris bypass. The foam pad has a pore size that allows efficient water flow, less clogging and long-lasting filtration. Part Number: A20061. Fluval Aquastop Valve for 106/206/306/406. Fluval 106. Fluval 206. Fluval 306. Fluval 406. As such, we have a huge wealth of experience in online trading. At present we list nearly 5,000 specialist aquarium & pet products suitable for Aquatic, Reptile, Cat and Dog enthusiasts. 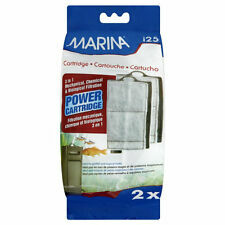 For use with Marina i25 internal aquarium filter. Toxic Ammonia. 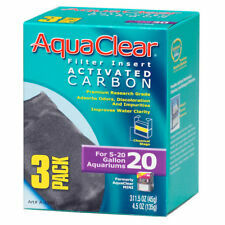 Premium blend of research grade Fluval Carbon and Fluval Ammonia Remover. Replace once a month, more often if aquarium is heavily populated. Use carefully when keeping live plants. For freshwater use only. Stingray 10 Foam Filter Pad. Stingray 5 Foam Filter Pad. FLUVAL CYCLE 2 Litre. High-quality production processes ensure that every container contains pure, safe bacterial colonies, free of undesirable contaminants. It goes to work fast, releasing massive amounts of beneficial bacteria that eliminate toxic ammonia and nitrites while creating a biologically well-balanced aquarium for healthy fish to thrive. Stingray 15 Foam Filter Pad. 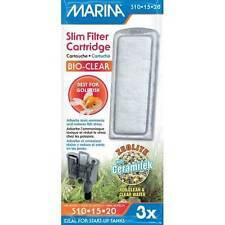 Marina Slim Filter Bio-Carb is a genuine replacement cartridge for all three Marina Slim Filter Models (S10, S15, S20). Ideal for tropical fish, the filter cartridge contains activated carbon and Ceramitek for optimum filtration and a healthy aquarium. The activated carbon effectively removes pollutants and odours, while the Ceramitek, a highly porous ceramic biological filter medium, optimizes biological filtration. The easy-to-use disposable cartridge should be replaced every two weeks for best results. Never replace all filter cartridges at the same time to ensure a constant presence of beneficial bacteria. 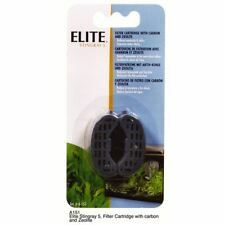 FLUVAL G3 & G6 SPARE HOSING. 10 foot spare hosing for the Fluval G3 & G6. As such, we have a huge wealth of experience in online trading. At present we list nearly 5,000 specialist aquarium & pet products suitable for Aquatic, Reptile, Cat and Dog enthusiasts. Hagen Stingray 5 & Fluval Chi Impeller. Quantity 1. Item model number A20172. Item Weight 59 g.
Fluval 4 Plus- Polyester Filter Pads. The Polyester pad is a specially developed fine filter. Add to Favourites. View Our Feeback. Adsorbs odors, discoloration and impurities. The foam pad has a poresize that allows efficient water flow, less clogging and long-lasting filtration. Caution: Proper supervision is advised when playing with all toys to ensure no accidental swallowing.